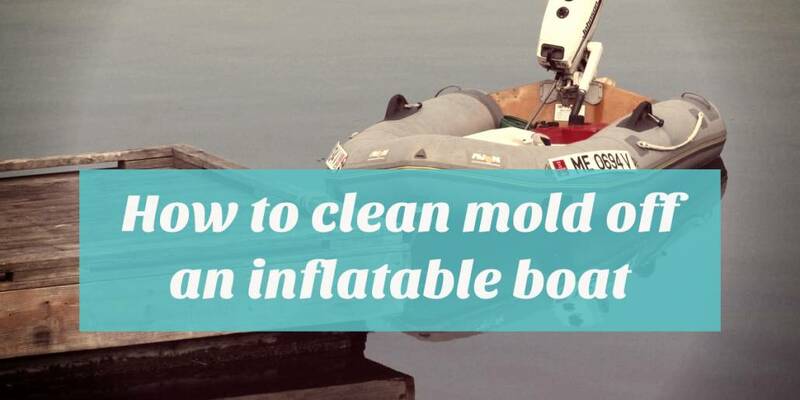 The only way to undo the damage and get rid of mold is to thoroughly clean your inflatable boat, thereby bring back its pristine look. There are a lot products claiming to be effective in doing so, but which products can really deliver that on promise? Revival Ecological Paste for Boats is made specifically for inflatable boats by the Zodiac umbrella. This product is quite pricey. Many people find the paste hard to work with, because of its hard waxy consistency. However, this cleaner proves to be effective in cleaning dirt, grime, and mold marks. And, what makes it even more special? Revival Ecological is not harmful to the skin; it’s 90% biodegradable and has an unlimited shelf life. A lot of people swear by the Star Brite Inflatable Boat & Fender Cleaner, but some people point out how tedious it is to work with because it requires following too many steps, compared to its easy-to-use or rub-and-rinse competitors. It is a little expensive, but does the job well. This cleaner is sold as a package, the Inflatable & Dinghy Cleaner and the Dinghy UV Protective Coating. It has received many good reviews and positive feedback over the years. It’s very easy to use and has garnered an excellent rating. Although it’s on the expensive cleaners list, it can do wonders and is actually a trustworthy product. This is my cleaner of choice. I live in Florida, so the UV coating is important for me. For a more inexpensive yet effective type of cleaner, try the Nautical Ease Inflatable Boat Cleaner. It’s very easy to use, but not as effective for heavy mold stains. The NRS Inflatable Boat Cleaner is almost identical to Nautical Ease Cleaner. Pricewise, Nautical Ease Cleaner costs less. Looking at its performance, many reviews claimed that the NRS cleaner does a better job than the Nautical Ease. Tip: Do not use products like solvents, MEK, Toluene, bleach, ammonia, highly alkaline cleaners, abrasive scrubs, and steel wool for cleaning your inflatable boat. These products will weaken, damage, and discolor your dinghy’s coating and fabric. Green tip: If you like using natural and organic materials instead of cleaning products like the ones listed above, you may try to use white vinegar. Vinegars have a slightly acidic solution that can kill molds without damaging the fabric of your inflatable boat. Although there are ways to rid your inflatable boat of mold, sometimes the mold reaches far into the material, and continues to thrive within the boat. This will mean that the molding issue will be persistent and return with time. As always, prevention is better than a cure. Here are the best ways you can keep your dinghy dry and prevent mold from forming. Mold forms in humid environments and unventilated areas. 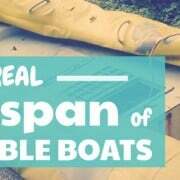 To prevent mold from forming, dry your boat properly after use or washing. 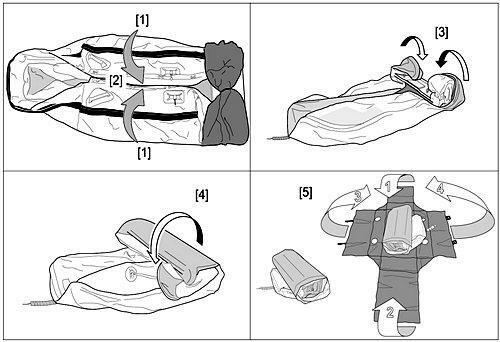 Below is a step-by-step guide on how to dry your inflatable dinghy. Use a towel to dry the outer part of your inflatable boat. Wipe away the remaining water in the boat. Deflate the rest of the boat. Check if there are still damp areas. Roll it, and wipe as you roll. Fold and pack it away. Tip: When drying an inflatable boat, always prepare more than 2 dry towels. Feeling lazy? If it’s sunny out, you can leave your inflatable boat out to dry under the sun for a short period of time. This isn’t recommended though, for it may cause the fabric of your inflatable boat to fade faster and deteriorate. Fold the pontoons in, and make sure they are not wider than the transom. Next, fold the cones in. Place folded boat and accessories on the carry bag. Fold the flaps, and then store it away – preferably somewhere not so humid. Avoid: Do not store your inflatable boat in a humid environment. Do not, under any circumstance, roll and fold a not-so-dry inflatable boat, more so store it away. If you’re storing it for a long period of time, you can pack your dinghy up with dryer sheets or moisture absorber like DampRid here. Other options are putting silica gel or homemade desiccants to keep it dry. Use these especially if you are going to store your dinghy in a humid environment or during the winter season.